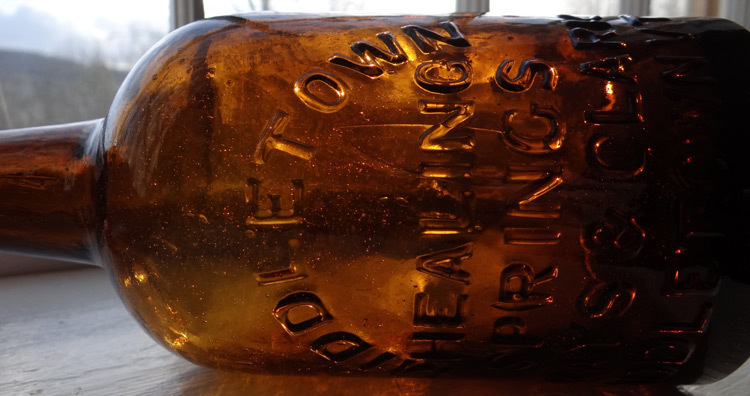 Description: This is a gorgeous example of the early Middletown Healing Springs Mineral bottle. 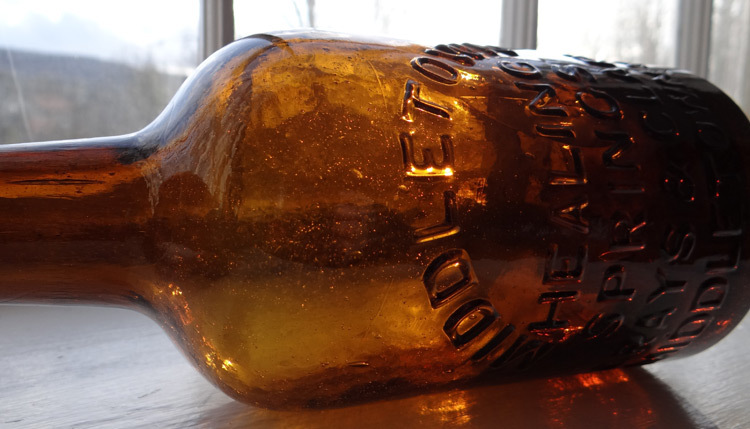 These Vermont mineral bottles were blown at Stoddard Glass Houses in NH. The glass quality is everything you would expect, this bottle displays great and is in excellent condition. Listed in Donald Tucker Mineral Bottle book as V-12. American C.1870. Condition: Excellent. Strongly embossed, excellent glass quality, lots of seed bubbles and gorgeous Stoddard glass quality.